All items on the B-stock list are subject to availability. Sometimes we're asked "What is B-stock"? The answer is that B-stock items are generally something less than perfect new items in a box. They could be used, they could be an opened box, they could be missing some minor part, they could be an item that was returned to us, they could be a repaired item from the manufacturer. Then again, they could be new and in the box but something we're just trying to get out of the warehouse. Maybe an older item that didn't sell well, or something we've decided not to carry, or stock. B-Stock items are like the bargain table in some stores. You never know what you might find here but generally what you do find isn't returnable and has shorter (or no) warranty from the manufacturer. If you have questions about an item, ask. We're happy to represent the item honestly and to the best of our ability. While you may order B-stock on-line, we may not have the product in stock any longer if someone else beat you to it. They are generally bargains and they often go fast. Of course you'll get a refund if that's the case. You may also call a sales representative who can check on the stock and let you know if we have the item in stock any longer. CDS16GBWDLE-B 16GB wooden body USB flash drive with magnetic cap. Price includes one-sided laser engraving. CDS2GBPT Black 2GB USB flash drive with black cap, silver endcap. Bulk packaging. These drives were ordered for a customer and loaded with data. The customer then found they were not the size they needed. The drives have been reformatted to remove the customer's data. The drives are "like new" but are not new because of this copy/format. It makes for a really great deal for someone! CDS8GBPTNC 8GB USB flash drive with silver/white body and cap. Bulk packaging. These drives were ordered for a customer and loaded with data. The customer then found they were not the size they needed. The drives have been reformatted to remove the customer's data. The drives are "like new" but are not new because of this copy/format. It makes for a really great deal for someone! PVW-2600 The PVW2600 is a versatile editing player that is easy to integrate with the BVW series of products and peripherals as well as other editing systems. 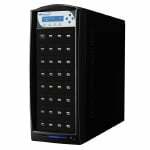 Featuring built-in TBC, built-in TC reader, 24 times picture search, RS-422 remote interface, Y/C output and component video (Y, R-Y, B-Y) outputs, the PVW2600 combines superior picture performance with flexibility and control. In addition, it will playback Betacam or Betacam SP recorded tapes, with playback times over 90 minutes. USBShark-31T-BK-B Digital content is the driving force of content delivery in business and even consumer applications and is growing by leaps and bounds. One of the fastest growing methods for distributing content is through flash memory which is most commonly recognized as USB pen drives or SD/Compact Flash cards. Flash memory devices are used in a multitude of components including computers, smart phones, portable gaming devices, and other useful hardware applications. With so many devices able to use and specifically geared toward this form of digital media, content providers large and small will need a way to make quick reliable copies. This is why Vinpower Digital has developed a line of flash copiers like the USB Shark duplicator. This is a lightly used b-stock unit in excellent condition. The unit has been serviced and thoroughly tested. 3940UA-B Ultra Narrow SCSI Controller supporting up to 7 devices as speeds up to 20 megs per second. 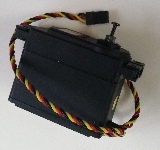 This controller has a 50 pin internal connector and a 50 pin High Density external connector. 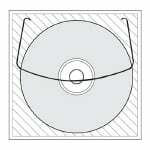 CDS-CD-330-B B-Stock Paper Sleeve Packaging, No Window, No Flap, 1800 Count Box DEXTUSBAB02 USB Cable A/B six feet (printer cable) 63mmlabels You are buying 342 total labels with 9 labels on a sheet. These are 63mm business card labels. One price for all the labels. 124A The Aphex Model 124A Audio Level Interface is designed to allow use of -10dBV consumer hi-fi equipment with +4 or +8dBm professional / industrial / broadcast audio systems. It provides an extremely clean, reliable two-way buffer so both systems can operate at maximum performance levels, matching impedances and operating levels. 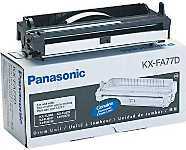 KX-FA76 Genuine Panasonic toner cartridge. Close out special. 2000 pages. Limited quantity available. KX-FA77D Genuine Panasonic drum. Close out special. Up to 6,000 pages. Limited quantity available. 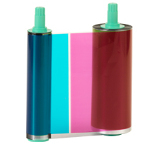 Toner is NOT included with the drum. 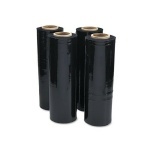 Stretch-Wrap-B B-Stock Black Stretch Wrap, 18" x 1500', 80 Gauge, 4 Rolls per Box HS7550HB Hitec's expansive line-up of servos include the HS-755HB Giant Scale servos offered with revolutionary Karbonite gears. Perfect for larger RC applications and feature dual ball bearings with a water and dust resistant case. Teh powerful HS-755HB delivers 183 oz/in. of torque at 6 volts.